Getting started with fitness and nutrition can seem overwhelming. There are plenty of questions to consider: Where do I begin? How can I hold myself accountable? What is the best program for me? Having a friend, partner, or community can help you stay motivated and focused. It can be the difference between sticking to your goals and throwing in the towel. Social media has become an endless source for fitness trainers and bloggers but finding the actual experts can be difficult. It can be hard to tell what a trainer’s or nutritionist’s qualifications are. Worse, they may have no formal training and experience at all. Some even use the, “well this is what worked for me and I look great” method of training. Unrealistic expectations, body image issues, misinformation, or even injury plague the social media fitness industry. Here is a list of ten health and fitness communities created by expert trainers, nutritionists, physical therapists, athletic trainers, and medical professionals. 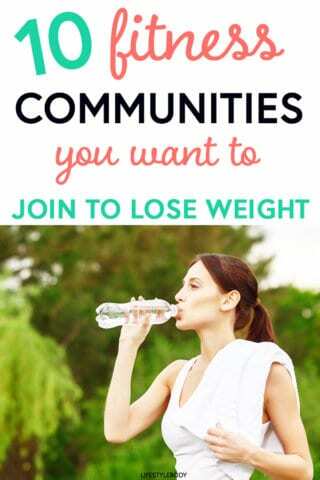 Whether you’re just starting out, you’ve been training for a long time, you’re interested in healthy eating, or just need some motivation – these are communities that provide support, advice, and guidance in a fun and effective way (in no particular order). Founded by a group of strong and powerful women who believe the fitness world should strive to help women be more, not less. The GGS community knows there is no “wrong” body. They provide women with information and resources on programming, self-confidence, injury prevention, fat loss, and strength training. The GGS advisory board focuses on content that helps women reach their goals in a realistic, sustainable, compassionate, fun, and healthy way. Black Girls Run was formed by Toni Carey and Ashley Hicks-Rocha to address the growing obesity epidemic in the African-American community. The extremely supportive program encourages all women (especially African-American women) to lead healthy lifestyles. Their movement is over 160,000 women strong and growing. Mark Fisher Fitness is all about providing a community that is fun and inclusive. Unfortunately, they only have locations in New York City but that doesn’t mean you can’t be part of the community. The MFF blog provides great content for those feeling like the fitness industry hasn’t been for them. Creator Mark Fisher started the clubhouse to prove that a gym can be more than just a place to workout. The Enchanted Ninja Clubhouse of Glory and Dreams helps make fitness as enjoyable as possible. Founder Kate Homey was a new mom and personal trainer who was frustrated with the lack of information out there. As a busy mom, she didn’t have hours to spend in the gym and kitchen. Her small blog developed into a complete fat-loss system and community for busy moms worldwide. Ever heard of the Paleo Diet? Yup, that’s Robb Wolf. Robb is the New York Times best-selling author of The Paleo Solution – The Original Human Diet. His book and seminars created a community that helps people truly transform their lives. Athlean-X was created by Jeff Cavaliere, who served as the head physical therapist and assistant strength coach for the New York Mets. Although the red and black aesthetic on the website lends itself towards a mens demographic, Cavaliere’s programs are equally as powerful for women. Athlean-X programming helps you unleash the athlete within. The programs are slightly advanced but Cavalier understands the importance of progressive programing within exercise (you work your way to where you want to be). Roman Fitness Systems was founded through the personal training and blogging efforts of John Romaniello. RFS looks at fitness as a lifestyle rather than cookie-cutter advice and programming. As long as you have a take-charge mindset, RFS will help you reach your goals. Online fitness coaching that gives you completely customized monthly training and nutrition protocols. Healthy Grocery Girl is a nutrition services company founded by Megan Roosevelt. The company focuses on helping busy people enjoy real food. Healthy Grocery Girl is great for dairy-free, gluten-free, vegan/vegetarian and even paleo lifestyles. Whole30 launched in 2009 when co-founders Melissa and Dallas Hartwig shared their 30-day dietary experience. The community has grown to over a million strong and includes four New York Times best-selling books. The community focuses on clear guidelines and support to help you reset your body. While the Whole30 program might seem limiting, for those struggling with severe anti-inflammatory digestive issues, it can be a life changer. Born Fitness was created out of the frustration Adam Borstein felt with information overload in the fitness industry. Born Fitness believes that health is more then just a diet, the gym, and what you see in the mirror. The website has a great “get started” tool that takes a quick assessment of where you are at to get you going. Detailed and vast free blog content with information on nutrition, motivation, fitness, recipes, and more. Whether you’re looking to start a healthy and active lifestyle or continue the progress you already made – joining a community of like-minded individuals can provided much needed support. The perfect community is out there. It’s time to start looking! Elizabeth is a freelance writer who understands the ways in which what we see on the screen can affect our brains, social interactions, and emotional wellbeing. Her expertise is in video storytelling, media literacy, heath & fitness, and personal development.